The International Sign Association® will offer two educational sessions for planners at the National Planning Conference April 15-16. 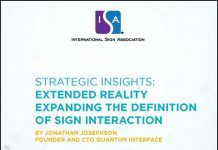 ISA’s experts also will be on hand exhibiting at the conference in booth #404, offering complementary sign code assistance, research and best practices. On Monday, April 15, attendees will be able to experience ISA’s Planning for Sign Code Success™ event, which has trained hundreds of planners across the country since 2011. This fast-paced workshop will help planners better understand the latest ramifications of the Reed v. Town of Gilbert decision, and how communities have responded. The session also will help planners understand more about treating electronic message centers and developing sign regulations that encourage creative design. ISA’s James Carpentier, AICP, will be joined by Jason Morrison, AICP, the City and County of Denver (Colo.); Mark White, AICP, White & Smith LLC; Deacon Wardlow, Vantage LED; and Linda M. Edwards, AICP, Flagstaff/Tempe (Ariz.). The second session, Preservation of Historic Signs, will explore the community benefits of preserving historic signs from California cities of Burbank and San Francisco. ISA’s Carpentier will be joined on April 16th by preservation consultant Lannette Schwartz; Al Barna, co-founder of San Francisco Neon/Historic Neon Network; and Randall Ann Homan, who co-founded the Neon Speaks Festival and Symposium Historic Sign Conservation with Barna. 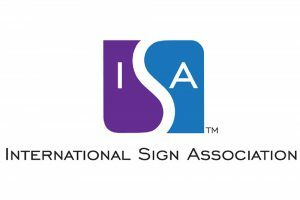 The International Sign Association’s advocacy team has worked with thousands of planners throughout the United States to understand more about the impact of signs and the benefits of reasonable sign codes. ISA provides complementary resources to planners throughout the year, including newsletters and research. ISA often uses material published by the Sign Research Foundation in its education of planners.